From day 1, I was instantly smitten with the almond cookies I had in Sicily. Most cafes I went to in Sicily served a variety of sweets to choose from, to go along with coffee – and it’s probably a good thing that cafés in France don’t, because otherwise they’d have to force me out of there with a crowbar. 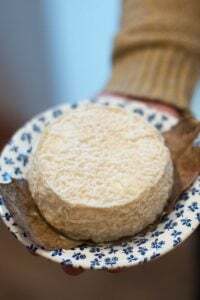 These kinds of cookies often go under the umbrella name of amaretti, although they are softer than what most folks are used to: Most of us are familiar with the Italian amaretti that you buy in the red decorative tins, which are crisp and crunchy. I’d previously made these kinds of cookies with almond paste, but the folks in Sicily said that they used almond powder, which I can confirm because almost every food shop I went into had bags of almond powder for sale, including those that sold vegetables. So I worked on modifying a cookie dough I had in my recipe files from way-back-when, to recreate those tasty cookies I had in Sicily. I added a few spoonfuls of tangy apricot jam, which makes the cookies a little moister, a trick I learned when I went to pastry school in Paris where the instructor told us to put a few spoonfuls of jam in our macaron batter. Because Parisian macarons are based on Italian almond cookies, I figured the partnership would work well. Which it did. In Sicily, most cookies like these were covered with sliced almonds or lots of pine nuts. But when I went to the store to get pine nuts here in Paris, the non-Chinese pine nuts were – *gulp* – €18 for 250 grams, roughly $48 per pound. (I don’t eat Chinese pine nuts anymore, after getting pine nut syndrome.) 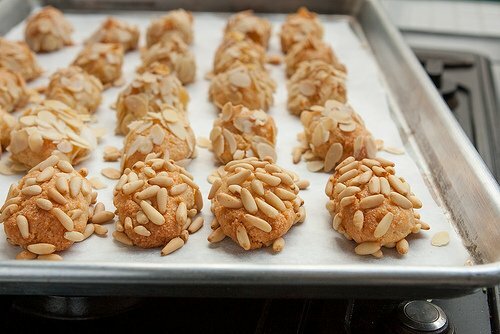 So in the spirit of Sicily, whose cuisine is not based on spending a lot of money or being extravagant, I used sliced almonds for some of the cookies, and a few pine nuts that I had on hand for the others. 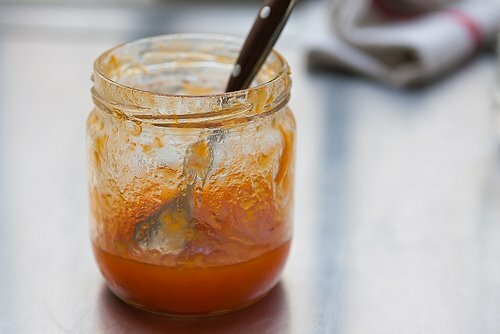 If you don’t have apricot jam, replace it with an additional 1/4 cup (50g) of sugar. You can also use orange marmalade in place of the apricot jam, whizzing it in a mini-food processor until smooth. (If your apricot jam isn’t smooth, that’ll smooth it out, too.) If you want to keep them extra-simple, you can also skip rolling them in sliced almonds and simply bake them nudi (see picture, below.) They’re excellent like that way as well.As mentioned, I used pine nuts for some of the cookies, which you’re welcome to use as well in place of the sliced almonds. Traditional Sicilian cookies often have bitter almonds added, which are very hard to find. (Amaretti di Saronno use apricot kernels.) 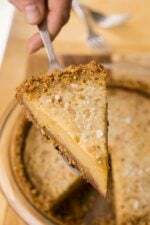 Most almond extract is made from bitter almonds, so I often add a bit to desserts that use almonds, to highlight their flavor. But do go easy on the almond extract; it’s a flavor that can quickly become overpowering. A few drops should do it. 1. In a large bowl, mix together the almond powder and sugar. In a separate bowl, whip the egg whites with a pinch of salt until they start to mound and form soft, peaks. They should not be stiff, but the consistency of softly whipped cream. 2. Fold the beaten whites into the almond mixture (they’ll lose volume, which is fine), then fold in the apricot jam and a drop or two of almond extract. Mix the dough until it comes together in the smooth ball. You may need to get into it with your clean hands to help knead it together. 3. Preheat the oven to 325ºF (160ºC.) Line two baking sheets with parchment paper or silicone baking mats. 5. In a small bowl, stir the egg white with a fork briskly for about ten seconds to break it up. Put the sliced almonds on a plate. Working with 3 or 4 at a time, roll each piece of rolled cookie dough in the egg white and place it in the dish containing the sliced almonds. 6. Roll and press the ovals of dough into the almonds, being extremely generous coating when coating with the almonds. I start with 1 1/2 cups of sliced almonds in the bowl, and add more as necessary. After coating each batch of cookies with the almonds, put them on a baking sheet, evenly spaced apart. 7. Bake the cookies for 25 to 30 minutes, rotating the baking sheets in the oven, turning them around so the cookies bake evenly, until the cookies and nuts are light golden brown. Let cool before serving. Storage: Once cool, the cookies can be stored in a container at room temperature for up to one week. I would not recommend freezing them as it will change their toothsome texture. Notes: Almond powder often goes by the name almond meal, almond powder, or almond flour. It’s simply ground up almonds. If in doubt, check the ingredients; the only one should be almonds. If you can’t find it, you can pulverize the equivalent amount of sliced, blanched almond (by weight) in a food processor with the sugar called for in the recipe. You can read more at my post - Almond Flour FAQs. Almond flour is available in well-stocked grocery stores, natural food stores, and online. (If you need help finding it, check out How to Find Foods Mentioned on the Site.) If you can only find unblanched almond powder, that’s fine to use, although the color will be different. For a twist, you can try another powdered nut, such as pistachio or hazelnut. Here are a few recipes to use up leftover egg yolks: Sabayon, ice cream, or crème anglaise. How can one’s mouth not water with this? Thank you for sharing it. good idea to use jam; in my traditional recipe from Noto, there is one teaspoon of honey (and a bit of lemon zest); also, they are rolled out using icing sugar, and covered in icing sugar once again when coming out of the oven (15-20 min max, to leave them really soft). The traditional shape is ‘S’ shaped, at least for these. I have a recipe for these biscuits which I always make at the same time as Portuguese tarts. Egg whites for the biscuits, egg yolks for the tarts. No wastage! I had similar cookies in Rome and they came in all flavors – pinenut, chocolate, pistachio, honey, etc. I even saw some that were made with part cornmeal. I just fell in love with them and glad to have a recipe to try to make them at home! Great recipe, thank you. Cannot wait to try this! Might that be *and* instead of ‘around’? how much coating is too much? Belinda: Most pine nuts that you find for sale are from China, I think because they are so much less-expensive than pine nuts from other places, like Spain. The guy at the store where I shop for nuts said he eats the Chinese ones all the time and has never had a problem. But I avoid them. My favorite cookie. I buy them at Bova Bakery in Boston’s North End when I’m in town from my burb. But it’s good to have a recipe that looks trustworthy. Next snow day maybe I’ll try this out! The pine nuts are also ungodly expensive here in Berlin! I’ve noticed that the ones available in Germany are much different than the ones I’ve had in the US: they’re much bigger and have a different, creamier taste and consistency. Maybe this is another difference between Chinese and non-Chinese (Italian?) pine nuts? Just thinking out loud here! What camera are you using or what settings? The reason I’m asking is that I sometimes send images of meals I make to my family, but they are not great. The camera I use is in my post on Food Photography. I used to shoot in AV (aperture priority) but now I shoot in manual (M). I love the sound of these! Such a fabulous flavour! 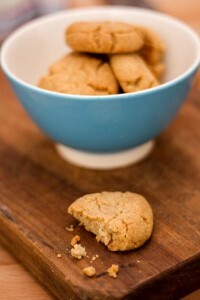 I much prefer soft cookies over crunchy ones and I love that you did some of them with pine nuts! I’ve wanted a recipe for these – thanks. Now I have a reason to buy new almond extract too. I hadn’t realized over time, unlike vanilla, almond extract could lose all flavor (at least the stuff I had did). I have used this recipe for a couple of years, without the apricot jam. I will need to try your version. This is a great way to use the leftover egg whites from making your custard based ice creams. These look wonderful. I can’t wait to try them My husbands favorite is chocolate chip but once in a while I like making something a little different. He eats those too :) BTW your new book is on my Christmas list. Too bad I will have to wait till April to get it! I’m assuming it will be fine, but can I substitute some other kind of jam for the apricot? As long as it’s smooth? Yes, I mentioned you could use orange marmalade (whizzed until smooth) – other jams would work, but any that aren’t orange or yellow (such as lemon) would likely turn the dough a funny color. My goodness, you keep bringing on the memories. My mom and grandmas made numerous the Italian cookies every Christmas…almond cookies included. Time for me to dig out their recipes and get baking. Thanks for the inspiration! I was planning to make your coconut chocolate macaroons for a party tonight, but maybe I’ll make these instead. Why not use egg whites from a wax box (Eggology, etc.) and not have to deal with the yolks? You could use packaged egg whites, however some cannot be whipped (which I learned the hard way, doing a demonstration in front of a bunch of people, and I was madly whipping away for a long, long time) – check the package to make sure that they are suitable for whipping. I love these cookies with a strong Orzo. Thanks for posting the recipe. Imagine how cheap they’ll be to make with the pine nuts we can get at COSTCO. Yippee! Thank you for the recipe. I too leave a trail of almond cookie crumbs behind me when I travel in Italy. I have found that Lindsay Shere’s recipe for Ossi dei Morti in the Chez Panisse Desserts cookbook also produces a fine moist almond cookie. Must try your recipe as I just found a supply of organic unpasturized California almonds. Great recipe. As a kid I used to get these cookies from the Italian bakeries in Newark NJ but have never been able to replicate them. I think you may have solved the mystery…almond meal (which I always have in my pantry). As for pine nuts…@Jennifer Barnaby…I used to buy the ones from Costco bc of the price…but one time got sick (lost my sense of taste and had a horrible metalic taste for days in my mouth) so I won’t touch them with a 10 ft pole. I was surprised to find on my recent trip to Italy I couldn’t find Italian pignoli nuts…just Chinese pine nuts. Oh well, I’m glad my daughter lives in Spain and supplies with with Spanish nuts. Read the “pignoli mouth” entry with pity for all sufferers of this odd malady. At what point does one realize this is happening? Sounds as if it’s delayed enough not to be able to stop eating them in time. And would a small amount do it–is volume involved? 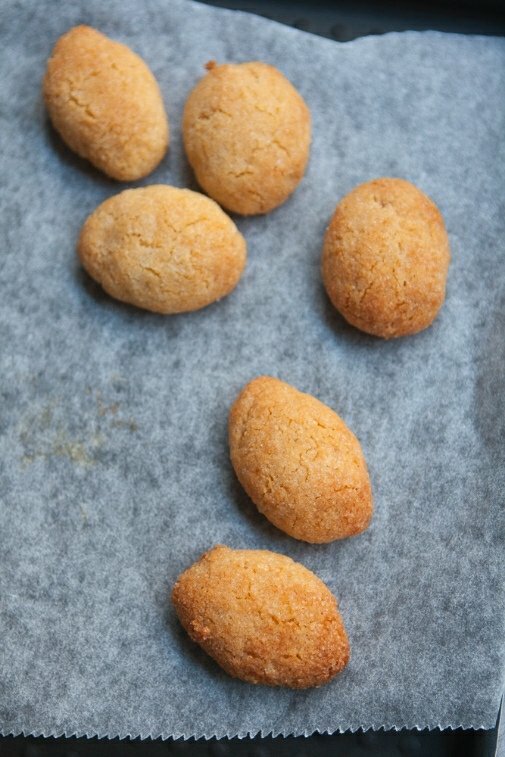 please do an italian amaretti cookie recipe! i love those! That recipe looks suspiciously gluten free to me :-) I’m going to have to try it they look wonderful! I won’t even have to change anything! Thank you for sharing. I find it interesting that many of the recipes you have posted from across the seas are already gluten free. Is it only in America that we think all desserts must have wheat in them? A lot of people in Italy are gluten-free and it’s not a new thing; a friend of mine who is in her 30s was diagnosed when she was 2 years old. (She told me many people in Italy are predisposed to gluten intolerance.) In Italy, ice cream shops often have gluten-free cones and stores carry gluten-free products, including pastas. Because a lot of Italian pastries rely on ground almonds, gluten isn’t necessary in these kinds of cookies and some of the other Italian pastries. I LOVE Sicily. Been three times and planning to go back in 2015. You need to go back and spend more time in Siracusa and Trapani. Very different places and both extremely interesting and charming. My mother makes the chewy almond cookies. She uses a slight variation of the recipe that is in the American Academy in Rome cookbook. People love them and they sell really well. In the US you can find almond flour at a reasonable price at Trader Joe’s. It’s just very finely ground almond. I read with bemusement that the largest round pizza was gluten-free, a stunt to promote a chain in Italy. Right now, people who are trying to live gf in the states are being ridiculed and dismissed. 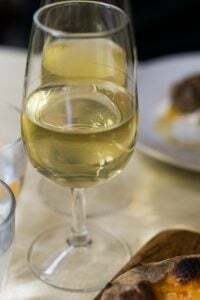 What’s the status of gf diets in France? I must admit that living without crusty baguettes and croissants has been one of the hardest parts of going gf! YAY!!!!! They’re GLUTEN FREE!!! Thank you!! I’ll be sharing this post on The Adventuresome Kitchen’s FB page! 3 cheers for delicious treats that are naturally GF! I’m going to make some this afternoon! 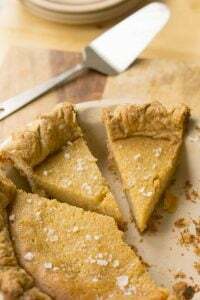 Almond flour is worth finding and keeping in the house– although stored in the freezer is probably best if you have a warm kitchen– because it’s tough to get blanched almonds sufficiently ground up. I’ve been getting requests for gluten–free desserts, and this is perfect. 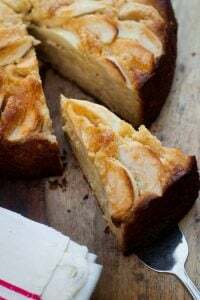 My default is currently a flour -free Moroccan Orange cake recipe from Cynthia Roden, and I found that using almond flour give the best result. 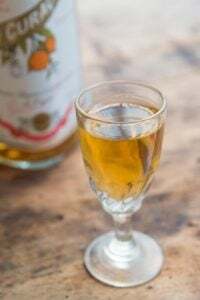 Do you have any thought on subbing Orgeat (almond/orange water syrup) for the jam and almond extract? Wait, what?! Apricot jam in macarons??? Can you elaborate on that little comment that you slipped in there? Thanks for the recipe David. These sound irresistible, with or without coffee! 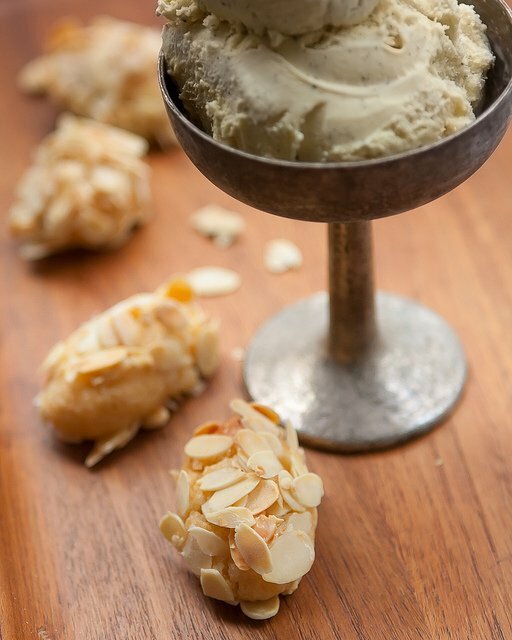 Hey, is that the vintage ice cream coupe you picked up in Sicily in the lead photo? Nice touch! Is that the vintage ice cream coupe you picked up in Sicily in the lead photo? Nice touch! Thank you so much for sharing your recipe. I grew up baking, and now my body refuses to allow me to consume wheat or dairy. (How will I visit France next time? My heart is still there). 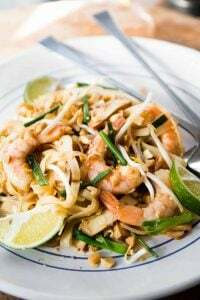 This is a beautiful recipe that I can make and serve. Thank you. David, am baking your ginger cake today! We love it! 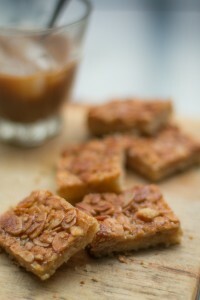 Am going to make these almond cookies for thanksgiving ! Can you please post a tutorial for macaroons ! Does any of your cooks books have it ?? Oh my, these look so good! And I happen to have some almond meal in my pantry. This will be a fun Sunday afternoon project tomorrow. We too just returned from Sicily and tried these delicious cookies. I had no idea that macarons are based on Italian almond cookies, but it makes sense. The both have the same texture- crunchy on the outside, chewy in the middle. I agree with not using pine nuts. Cost alone make it less likely I used them. In pesto I sub in walnuts. Great flavor and much less money. 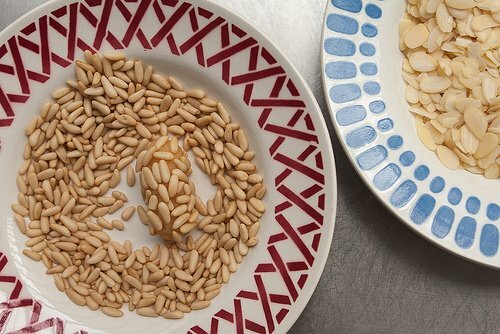 I can’t wait to make these, with pine nuts, like the ones I used to get in Little Italy in NY when I was growing up. I too have had pine mouth syndrome, from the sprinkling of pine nuts in a dish of swiss chard with raisins and pine nuts. It was miserable, and I had gotten them from the local food coop, but for some reason I didn’t throw them away, and subsequent consumption from the SAME BATCH has not had an adverse affect. Go figure! They’re still in the freezer. In the 1970s I lived in New Mexico for a year, and one of my housemates collected pine nuts locally in the forest. THAT’s the way to do it. Very labor intensive, though. And I thought pine nuts were expensive in New Zealand! Locally grown ones (a new industry, hurray) are around 9 euros/250g, which is quite painful enough for me. They’re about twice the price of the Chinese ones. I’m actually baking these right now and just about to shape them before coating them with almonds. However, you mention to mix until it forms a smooth ball… I don’t see how that is possible since it looks runny. I won’t be able to shape it as well… What am I doing wrong? The dough should be stiff, almost like pastry or tart dough, but a little more malleable. It should look like the dough peeking out underneath the pine nuts in the rimmed soup plates of nuts I rolled the cookies in. Hmmmm, what I have is definitely far from that!! I’ve baked so many of your recipes with success so not sure what is not working here. Does it make a difference if I folded the almonds and sugar into the egg whites instead of the other way around? thanks for that. Yeah, mine definitely did not look like that. Another possible reason could be the egg whites. You mention to whip till soft peaks. Should I whip it nearer to stiff peaks? from my understanding, soft peaks could still be when the egg whites are really foamy but still really far from stiff peaks. Also, the dough from the picture looks slightly yellow-y. What is that due to? These sounds delicious and I appreciate the info on the pine nuts! I adore Italian amaretti and biscotti. They are just so delicate and perfect with afternoon tea or after-dinner coffee and liqueurs. So, looking forward to trying out this recipe. I am still so thankful to you for your fantastic chocolate coconut macaroon recipe which I found on a google search recently- it has become an instant favourite among family and friends here. Your method of heating all ingredients including egg whites over a flame is brilliant and I think the reason why they taste so above all other recipes I have tried. Pls keep your fantastic recipes coming! My sister reminded me of an incident a few years ago when Hopi and Navajos were dying from eating their local pine nuts from the hanta virus. Turns out the nuts were contaminated with mouse pee and feces that had the virus. That ought to make you all quit eating them! So David you said you were working with a new photo program is it different from Flickr? or did you mean something else. We have thousands of photos that something like “gasp” organization has to occur. Love this recipe and will make some for Christmas. Next Sunday am having a ‘get together’ for a BBQ (providing it stops raining by then!). Am going to make your Amarettis and am curious about the ice cream pictured. I thought I would make a Christmas ‘pudding’ ice cream made with condensed milk (now the only way I make Ice cream) adding spices and some well marinated dried fruit. Does that sound OK to you? Thanks David for your mouth-watering stories….. Thanks a lot David. Every recipe you post is a master class for me jaja. At my country, Colombia, there are no good schools or experts. Education is a business here, so the quality is not an objective. The less i know i’ve learned from books and recently, from your blog. I’m a self-taught pastry and, by the way, cuisine apprentice. Oh David, I share your love of Sicily, and of their cafes and bakeries! I went there for the first time a couple of years ago and have been pining to go back every since. These biscuits look scrumptious! 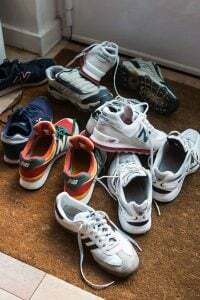 Very interesting about the pine-nut syndrome! I will be reading the labels from now on….. These totally remind me of the ricciarelli di Siena from The Classic Cusine of the Italian Jews, which were Passover sweets. Actually, I’ve seen recipes like this in Sephardic cookbooks, too, especially in one from the Sephardic community in Bulgaria. Pine nuts are a shocking price now, aren’t they? Last summer I made all my pesto with pistachios. I too love Sicilian cookies and always over indulge when I am there. I have made them with an amaretti morbidi mix and also with ground pistachios (very good). I will defiinitely try your suggestion of incorporating apricot jam. Hi David! Thank you so much for posting this recipe! I would be so grateful if you would oblige to solve my droopy dough conundrum. I followed the measurements in your recipe to. the. dot, but my dough was too wet and fluid to hold together. I added an addition 55g of ground almonds, and while the dough was stiffer, it was nowhere near pastry-like and still had a tendency to “droop” a little. I live in Singapore, could the humidity have something to do with the moistness of my dough? What type of sugar did you use? I made these last night. Amazing. So rich, so delicious. I showed your Sicily post to my Sicilian coworker, and she gushed about the cookies and how much she loved them, so when you posted this, I had to do it. She just tasted one and nearly lost her mind. Apparently they were spot on! I thought I was about to have a weeping Sicilian in my office. Thanks for making both our afternoons! Hi David. I enjoy your posts. I am planning a trip to Paris next summer and plan to stay near Les Halles. Can you tell me if the construction is nearing completion? I cannot find any solid deadlines on the Les Halles website, just photos with “today” and “tomorrow” captions. I am mainly interested if the garden and children’s play areas are done, or plan to be done by next summer. Thank you. heart with joy! Looking forward to reading more of your books! These look absolutely mouth watering! Can I just clarify if they need to be dipped into the egg whites even if they will not be topped with any nuts? If you don’t roll them in nuts, do not brush them with egg whites. The whites are there to help the nuts stick. I always thought amaretti were made from apricot kernels ground with sugar. Perhaps those are the crunchy kind? Hi David – thank you so much for your reply! I can’t put my finger to what caused the dough to “run,” but I will be executing this recipe again and again until I can get it right! I found the other comment by Joanna, who had the same runny dough issue. Hope you have a great day! I just made them, they are very tasty. I used Mango Jam, because that is all I had on hand. My cookies came together and were wet to the touch, easy to shape and roll into the balls. I used sliced almonds as when I took my pine nuts out of the freezer and looked at the label they were from China and into the trash bin they went. (Thanks for the warning about the pine nuts. I just figured the ones I bought were local, as the pinon is the state nut of New Mexico.) The cookies turned out beautifully. They are crunchy on the outside and moist and chewy on the inside. I can’t wait till my husband and daughter get home. They are going to be so excited to see what I have waiting for them. Thanks again for the wonderful recipe, I have 6 more cups of Almond Meal and plan on making these little gems and giving them away on our Christmas cookie trays. Love the addition of the apricot jam. this reminds me of a sicilian cookie i make from Mary Simetti. I usually stuff it with a couple of softened dried sour cherries. will try it your way now. I am also thinking of making these for Christmas cookies. I make a different kind of pignoli cookie with almond paste, but I definitely want to try these. I am just wondering if you can freeze them if you make them ahead of time? Can’t wait to try them! Thank you for the recipe David! Fantastico David! Mona has a super recipe for these in “Biscotti” the AAR book. Think it was a mix of walnut and almond flours. Only problem was I ate them all up till my mouth bled. Basilicata also great for randomly fantastic little pasticcerie btw. YESSS!!!!! the coveted almond cookie recipe!! thanx a million!! Loved making these. I used almond meal from Trader Joes. I think i would like to try with a finer almond flour or almond paste, mine were really texturized. I am having the same issue with the texture of the dough. Way too runny – no way could I roll these. I am refrigerating for a bit to see if that works. I have been dreaming about a recipe like this since I first tasted chewy/soft amaretti. It was a revelation. I’m bringing these to add to the dessert table for Thanksgiving and so made them just this morning. I followed your instructions exactly (including weighing my dry ingredients instead of using a dry measuring cup). Like some other commenters, the dough was extremely wet. I had to use an ice cream scoop to just make small 3/4 in balls of dough on the silpat. They’re coming out of the oven now and they’re quite soft, but I’m not sure they’re going to have the same texture/consistency as yours. So I made them again using the proportions listed and the dough came out the same – firm enough to form into firm mounds, with a picture here. Since I didn’t have any trouble the 3 times I made them, I can’t tell you what is the problem because I can’t recreate it; the recipe works for me. (I’m using regular ground almonds, and there should not be any variation in them as they’re just almonds, ground.) If your dough is runny, my only recommendation is to either add more almond powder to the dough, or add some flour. How I can reduce the quantity of sugar in this recipe? I can add according to my taste not more than 50 g of sugar. Bot I am afraid’ that less sugar may lead to complete failure with dough and cookies….. I just made these, they were incredible! I put both trays in the oven at the same time but think it didn’t work so well. The bottom tray took much longer to brown on top and once they had I realized the undersides were a bit too burnt. But the top tray was perfection and I will do one tray at a time next time. and there will be a next time! Thank you for the recipe. I have already eaten too many, telling myself they are healthy without flour and egg yolk… dangerous! I had the same wet/runny dough others were complaining about. I added 60g of flour and refrigerated the dough which helped a little, but dough was still too wet. Could my problem be that I stored the ground almonds in the fridge before using them and so they might have absorb water? Could the problem be beating the eggs too much/too little (BTW, what is the purpose of beating the eggs?) ? Do you think using 2 eggs instead of 3 could help here (I was using organic eggs which are smaller than regular eggs)? Basic question: is blanched almond powder the same thing as almond flour? I’m close to the King Arthur Bake Shop (heaven!) in Vermont, and they have almond flour, toasted and untoasted. I’m guessing the untoasted is closer to what your recipe calls for. I CANNOT WAIT TO EAT THESE COOKIES. Thanks for the great posts, David. I have not made it to Sicily yet, but I did have the good fortune to go to book release party for this cookbook – http://www.amazon.com/Southern-Italian-Desserts-Rediscovering-Traditions/dp/1607744023 – and there were samples of many of the recipies, for tasting! I have not tried baking anything from the book yet, but will very soon for the holidays. I made these before and commented how much I loved them. Just thought I would post that I tried to make them again today, with the exact same ingredients (brands, etc) as last time and had the runny dough issue, too. I noticed it as soon as I mixed the sugar + almond mixture with the egg whites, so it didn’t occur because of the jam or almond extract. I added tablespoon after tablespoon of flour but the dough still wouldn’t come together. It’s now refrigerating and I am baking 4 scoops of the dough as a test. I am afraid the taste and texture will not be the same with the addition of all the flour. The only thing I can think of is that it’s snowing here and maybe it has something to do with the pressure!! Next time I will beat two eggs whites and start there, and see if the third is necessary once I’ve folded in the almond mixture. I am pretty sure it has to do with the size of the egg whites on whether the dough is runny, loose or just like you pictured.. I made them the first time and the dough was loose, the second it was loose and the third just fine. 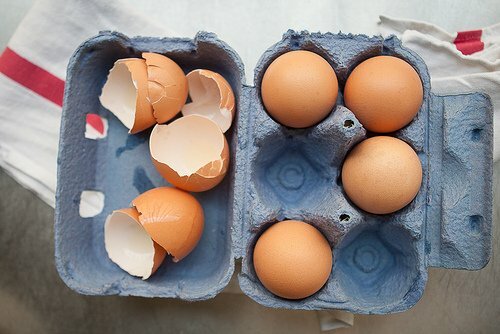 I first bought my eggs from a big box, then a grocery store and then organic brown eggs. So, anyway, that is my thought. They are delicious either way. My neighbors and a baker friend of mine went gaga over them. Thanks again for the recipe. Just finished making these cookies and they are delicious. The moist center reminds me of marzipan. Thankfully I had no issues with runny dough and I did refrigerate my almond flour before using. Thank you for sharing so many wonderful recipes. Tomorrow I am making the Zuni Cafe gnocchi. I made these cookies this afternoon. Used large eggs, room temperature, almond flour (wonderful to have and use it in many recipes that call for ground almonds) and apricot jam, etc. My husband loved them, loved the moistness and taste, however, I found the dough to be so sticky I had to flour my hands to get the cookies to shape properly. I’ve made zimmstene (German cinnamon stars) which also calls for almond flour and beaten egg whites and with that recipe you let the dough rest for 20 minutes and it is much easier to work.